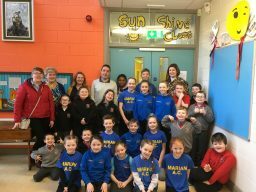 Ennis National School want to say a big thank you to Marian Athletics Club for their generous donation towards our Sunshine Class. Here you can see teachers, Special Needs Assistants, pupils from the Sunshine Class and Marian A. C. club members all posing for a lovely picture outside the Sunshine Class. The donation was half their proceeds from their Annual Turkey Trot on St. Stephen’s Day. 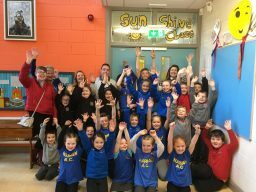 A big thank you to all the families that attended from Ennis National School to support the run. The Sunshine class are deliberating over what to get out of the donation. Keep an eye out in the next couple of weeks to see what they decided to avail of. 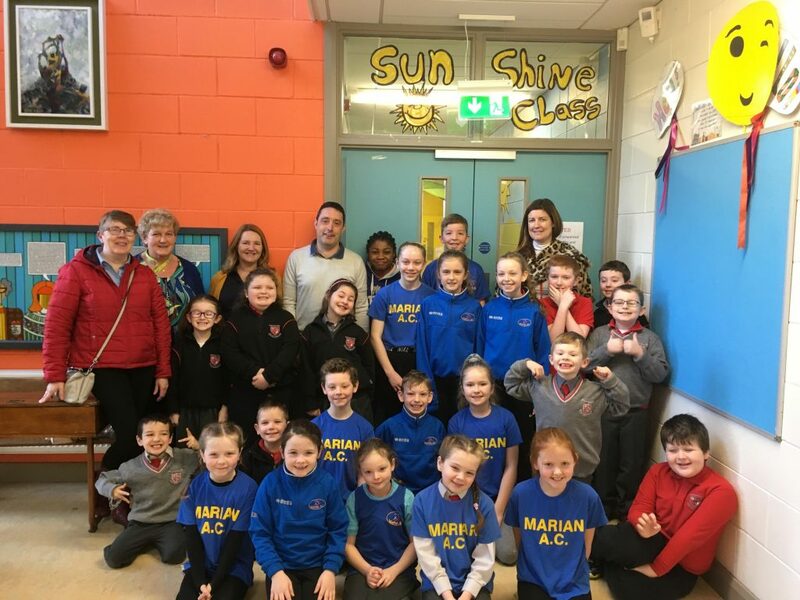 Once again, big thanks to Marian Athletics club and we wish them all the best in the sporting future.